The Olympics begin this Friday, October 21st! 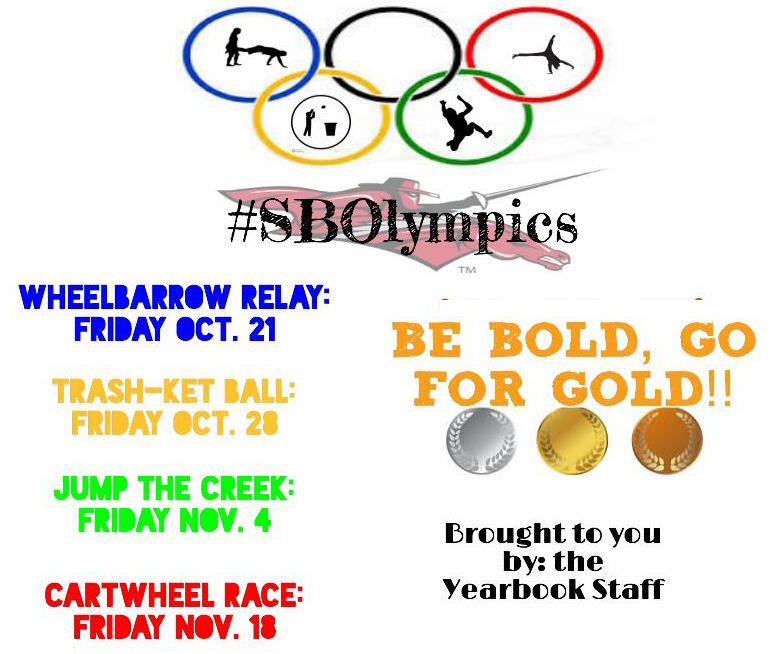 The Yearbook Staff is hosting the South Block Olympics beginning this Friday. We will hold FOUR South Block Olympic events over the next FOUR Fridays at pep rallies during South Block in the gym. This is a competition between all grade levels. We will award GOLD, SILVER, and BRONZE medals for winners of each event. At the end of the Olympics, the South Block with the most medals will win a party! The class that shows the most spirit throughout the Olympic ceremonies will win the spirit stick! Submit TWO volunteers for each event using the form below. Use #SBOlympics to Tweet about your Olympians before, during, and after events! Watch the Olympic Video to get pumped up!